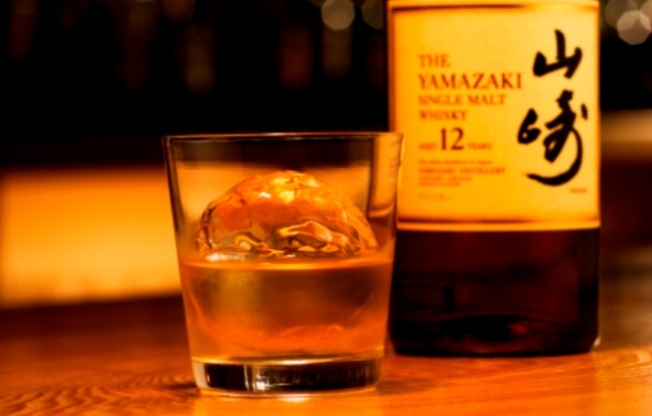 Japanese ice balls keep drinks cool longer than cubes. ICE AGE: Lukewarm cocktails at your dinner party? As if. Keep your guests’ beverages at the perfect temp by getting your hostess-with-the-mostess hands on the spherical ice trays from MoMa. Fill them with water, stick them in the freezer and voila; these suckers will create spherical ice balls to pop in your drink, a sleek alternative to traditional ice cubes. The large, icy spheres are replicas of the hand carved ice balls made by apprentice bartenders in Japan. 2 for $16 at www.moma.org. SUNDAY FUNDAY: Sundays can be such a drag. You’re in serious recovery mode from the weekend and can’t help but have anxiety that tomorrow is Monday - again. So get off your couch and celebrate the remainder of your time off with a little retail therapy. Serpico boutique is now open Sundays noon-3 p.m. , the perfect activity to indulge in after an alfresco Sunday brunch. REJUVENATION STATION: Step in to Bloomingdale’s for a much-deserved escape from reality during the B-Rejuvenated event ; a week of complimentary spa treatments like expert makeover and cosmetic applications, eye treatments and massages. While you’re getting pampered, pick up some fabulous freebies to take home by beauty faves like Lancôme, Dior,Laura Mercier, Bobbi Brown and La Prairie. For more info or to schedule your appointment call 312-440-4553.